Executive Director – Melissa Taylor- With RLT since 2013, Melissa is originally from Atlantic City, NJ where she spent over a decade working in entertainment at the Borgata Hotel, Casino and Spa as the Box Office and Showroom Supervisor managing FOH operations and ticketing for acts like The Rolling Stones, Jerry Seinfeld, Janet Jackson, Billy Joel, and many more. She holds a BA in Theater Performance from Stockton University and an MA in Arts Administration from Rowan University. She currently serves as an Advisory Board Member for the David J. Drakulich Art Foundation. In 2017, Melissa was recognized as a top 40 finalist for Reno-Tahoe YPN’s 20 Under 40 & as a “Woman of Acheivement” by Nevada Women’s fund. In addition to her administrative role at RLT, Melissa regularly directs and occasionally makes her way to the stage. Directing credits at RLT include: The Complete Works of William Shakespeare (Abridged); Red; Fortinbras; Calendar Girls; Peter and the Starcatcher; and A Funny Thing Happened on the Way to the Forum, and she has appeared in The Last Five Years (Cathy) at GLM as well as Enchanted April (Lotty) & Side by Side by Sondheim at RLT. To contact Melissa, please email melissa@renolittletheater.org. Technical Director & Production Manager – Chad Sweet- Chad worked professionally as an actor, director, and designer in theaters across the country and in Mexico for a decade before moving to Reno in 2004. After taking a hiatus to start a business and paint full time, he returned to theater in 2010 first acting then making the leap to Producing Artistic Director of Good Luck Macbeth for three years until landing at RLT. Some highlights of his career include FOLLIES at Paper Mill Playhouse (1998) working with Stephen Sondheim, Ann Miller, Jerry Mitchell, Donna McKechnie, and Tony Roberts among others; touring the U.S. with educational theater shows for over two years; and spending many beautiful summers at Cortland Repertory Theatre, The New London Barn Playhouse, and The New Harmony Playhouse. 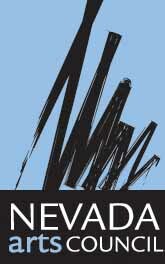 He currently serves on the Marketing Committee for the Reno Arts and Culture Commission. 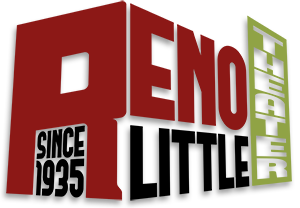 To contact Chad, please email chad@renolittletheater.org. Company Manager– Victoria Blanford- Victoria’s employment history is a little less theater and a little more administrative; with a degree in Legal Studies. She did eventually discover theater and began volunteering with Reno Little Theater in 2013, primarily as a Resident Stage Manager. Her RLT credits include: Intellectuals, Buried Child, Excerpts, Holmes for the Holidays, Enchanted April, Clybourne Park, Radium Girls, The Exit Interview, and Side by Side by Sondheim. 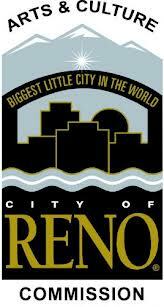 She’s also worked with Reno Philharmonic (Run Crew) and Sierra School of Performing Arts (Cinderella-Stage Manager). After a short hiatus in New York City, where she stage managed one production – Perfecting the Kiss (she got very distracted by NYC pizza); Victoria has returned to RLT and is just happy to be here! PS: Victoria is not Tiff. To contact Victoria, please email victoria@renolittletheater.org. Tiff has stage managed straight plays to musicals, and children’s theater, from Northern Nevada to Denver. Having served as the Production Stage Manager for GLM and RLT once upon a time and now as RLT’s ATD, Tiff has been involved with theater for a whole lot of time. Tiff holds a degree in business and occasionally goes away with the Navy. Similarly, Tiff is not Victoria. To contact Tiff, please email tiff@renolittletheater.org. Lyric attended Portland State University’s College of the Arts: School of Theatre & Film from 2011 to 2014, where he received a Bachelor’s of Science Degree in Theater Arts Production. Lyric’s primary focus at the College of the Arts focused on fundraising, managing, and marketing live events. Education Program Coordinator- La Ronda Etheridge- La Ronda has been an actor, director, and choreographer in Northern Nevada for the past 20 years. She has been teaching creative movement and theatre to children in Reno for the last 12 years. La Ronda has worked with Arts for All Nevada, The Loft Dance Theater Arts, WCSD, Sierra Arts Foundation, Boys and Girls Club and most recently with RLT’s kids camp program. La Ronda majored in theatre at the University of Oregon and studied dance in Scottsdale, Arizona where she danced with SCC Moving Company for 5 years. To contact La Ronda, please email laronda@renolittletheater.org.